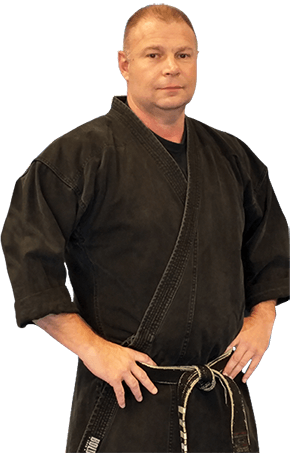 Since 1992, American Martial Arts & Fitness has provided its members with a road map to success based on self-defense, confidence and goal-setting skills. When I opened my school in 1992, I made a commitment to serving and empowering the community of Glasgow by teaching children and adults the confidence, leadership and fitness skills that can only be achieved through martial arts. Our programs have a strong focus on personal development. The foundations of our morals, values and core character traits are formed in our early years. For this reason, the programs at American Martial Arts & Fitness are an essential way to enhance the growth and personal development of young students of all ages. Karate & Self- Defense is the style of martial arts practiced by American Martial Arts & Fitness students. One more reason you will love martial arts at American Martial Arts & Fitness! As two working parents my husband and I could not be more grateful for the summer karate camp. We love knowing that our son is having fun in a safe and loving environment. He is not sitting at someone's house all day watching television. He is being active and learning so much from Master Hunter and the rest of the staff. We are so glad that we decided to have Jack participate this summer and are looking forward to the after school program and many more years for Jack at Sam Hunter's-Amaa. Thank you for all you guys have taught Jack and for taking such good care of him this summer.